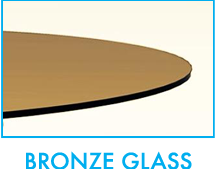 This clear 60” round glass tabletop is made from the finest quality furniture glass. There are several options available for this size. 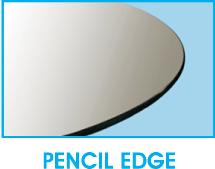 It is available in a 3/8” Pencil edge that is tempered and has a weight of 120 lbs. 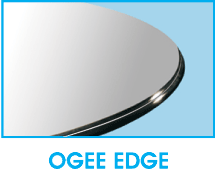 A slightly thicker glass option is the ¾” thickness which is available in the same 1”beveled edging, flat polish and ogee, having a weight of 225 lbs. 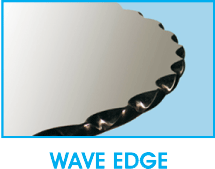 The edges of the glass are expertly polished to ensure a bright, smooth to the touch feel. 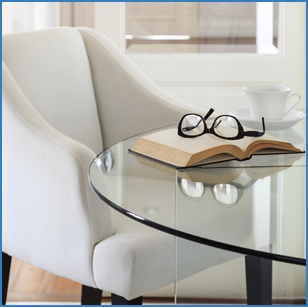 Give your old dining room an instant make over with this crystal clear glass top. This round glass top is perfect to use as a replacement glass top or can be used to create a contemporary decorative glass dining table. Also, this clear glass top is perfect as a table protector. The 60” round size glass top will comfortably seat 8 people. Glass top tables are extremely popular since they can easily match with a variety of styles, home décor and compliment the atmosphere of a space. This is a perfect addition to your dining room and is very durable & easy to clean. 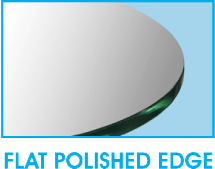 These beautiful glass tops are available in many sizes, thicknesses and edgework. 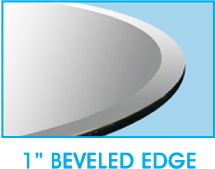 All of our fab round glass tops includes free bumpons to place in between the glass and base of the table. They are professionally packed and individually packaged with Styrofoam to protect from breakage during transit. 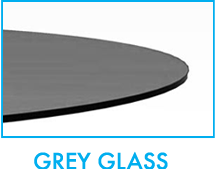 The 60” clear round glass table top ships quickly and is also insured to ensure a safe arrival.